Posted on December 21, 2016 at 6:37 pm. Just a few ideas to help jog your memory keeping everyone full of holiday cheer. Both St. Helens and Scappoose have great libraries. 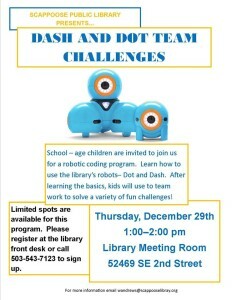 They offer programs for adults and kids such as the Dash & Dot Team Challenge on Dec 29th from 1:00 PM -2:00 PM. 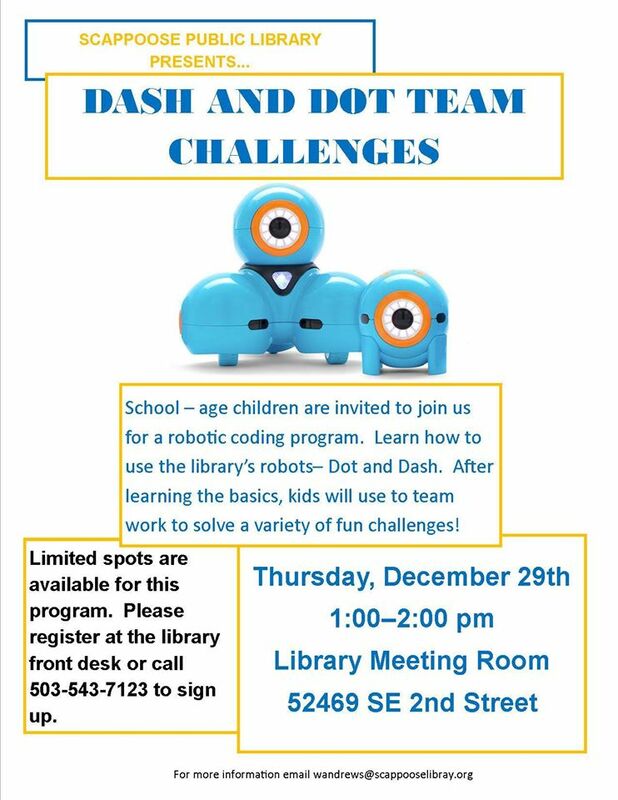 Find more information at Scappoose Public Library Events and Details. Go to St. Helens Library Calander to find interesting classes such as Beginning Ukulele maybe for the teenage kids or just quality time with your mom or dad. 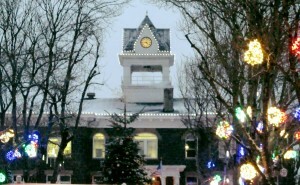 Around sunset is the perfect time to check out all the beautiful lights at the Courthouse Plaza Square in St. Helens. Thanks to local nonprofit SHEDCO (St Helens Economic Development Corporation), you should leave feeling that Holiday Spirit. Plus, it’s a great spot to take family photos. Open Anytime & FREE. It’s not always the specific activity with family that we remember. It is how we felt when we spend time with our family. How hard we laughed and the memories we shared. It’s the moments we spend together that matter. Keep it simple and wonderful all rolled into one. 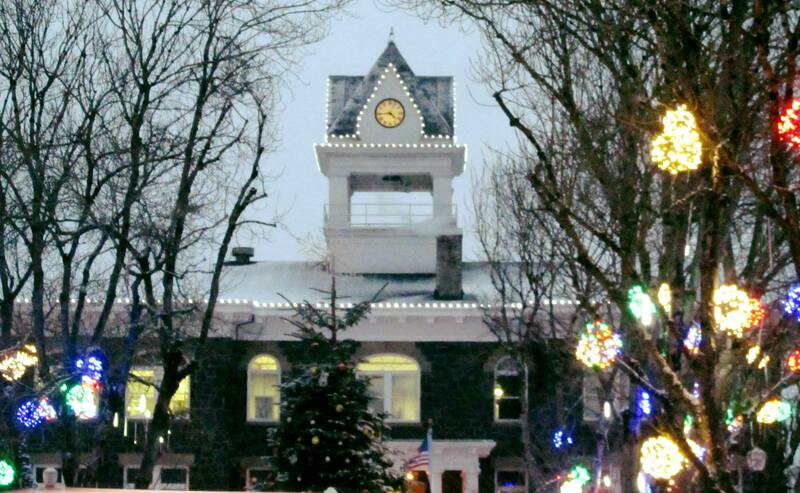 Happy Holidays Columbia County!